On November 16, 2016, a jury in Loudoun County, Virginia exonerated John Wayne Gregory of all wrongdoing, returning a verdict of not guilty on the charge of assault and battery. 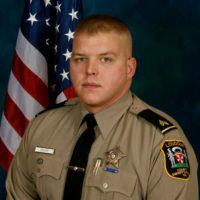 In August 2015, Loudoun County Sheriff Deputy Gregory was charged following an incident with Lyle Grenoble, a man he arrested for public intoxication. After the arrest, Mr. Gregory transported the arrestee to the Loudoun County jail. As the arrestee exited the police vehicle, Mr. Gregory testified that the arrestee exhibited numerous threatening gestures, that he felt the arrestee push into him, and that he saw an “I’m going to kill you” look on the arrestee’s face. Mr. Gregory testified that based on his training and experience with thousands of inmates and arrestees, he quickly recognized the immediate threat to his personal safety. Acting in self-defense, Mr. Gregory used the arrestee’s momentum to bring him to the ground in a controlled take-down maneuver, as he was taught in police academy. The arrestee testified to only minimal, superficial injury as a result of the take-down. Mr. Gregory’s use of force was reasonable and well within the bounds of his police training, testified Bryan Patterson, a veteran police instructor in Northern Virginia. Under the circumstances, Mr. Gregory would have been justified in using an even higher level of force than he utilized on the arrestee. Mr. John Gregory was represented by Caleb Kershner, Esq. and Elyse Smith, Esq. of Simms Showers LLP.